Do you feel like HR is doing what they want to do - not what you need them to do? 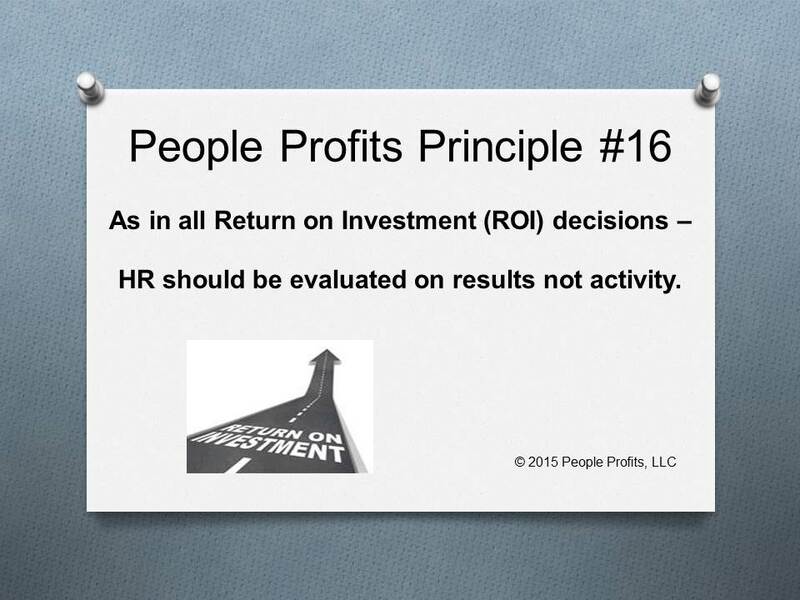 Do you feel like there is a lot of activity in your HR function but you are not getting the results you want? What are the goals/results we are looking for and is our HR function meeting those goals? What areas are we not excelling? Are these areas that your HR department not knowledgeable or experienced in? How much is this costing you? HR, like accounting, is a very transactional function. However that should not distract us from demanding HR bring real value much like a CFO would. If not, it is usually not the people in HR who are not working hard enough. It is a lack of a comprehensive Human Capital Strategy and Plan, functional strategies and plans and the business/financial knowledge to implement it successfully.